Next time you feel like taking a stroll through one of the world's most iconic parks, you can do so from the comfort of your favourite easy chair, thanks to Google Street View. Google says it has sent its Street View Trike to 22 different countries around the world and captured every detail of famous landmarks like Kensington Gardens in London. Among the other parks you can visit using the Google Maps-based tool are High Line, which sits 30ft above the streets of New York City and Koganei Park in Tokyo, Japan. There are six parks in total, but Google has also added hundreds of new collections to a gallery featuring landmarks all over the world. You can now get up close and personal with the Colosseum in Rome, Big Ben in London as well as touring the beaches of Hawaii and take a virtual glide down the ski slops of Whistler Blackcomb in Canada. 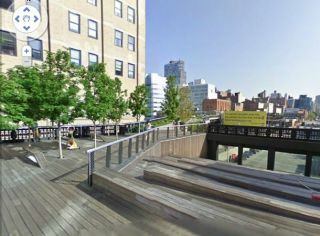 You can check out the gallery on the official Google Maps page, and see the video below to discover how Google was able to capture High Line park in New York.